I added two new photos today, a portrait and an iPhoto. The portrait is a photo of a woman. 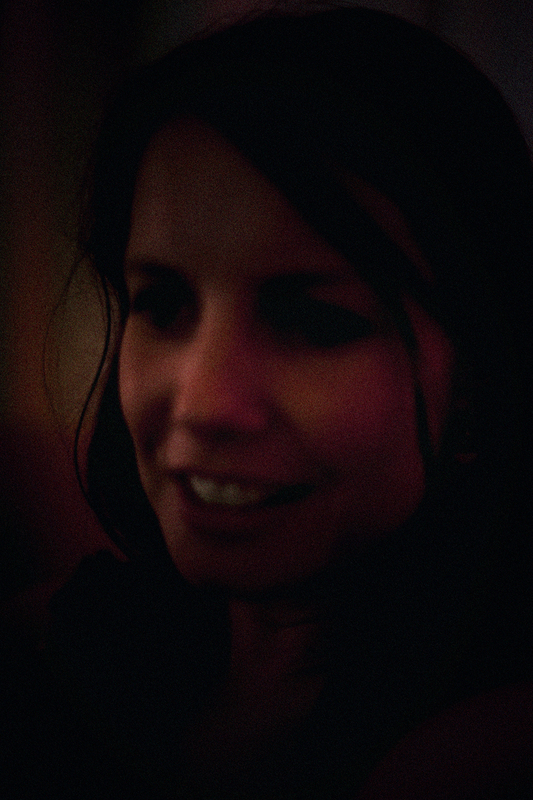 I’ve deliberately kept it a very dark, dreamy image, because I really like how it disguises her, but not her beauty. The highlights on her cheekbones and her nose give her a very youthful look. Her hair, barely visible in the image, is playfully arranged around her face. Her smile, vague, but joyful. I’ve hidden her eyes because I wanted the image to have a sense of privacy, intimacy. The image was shot in low light, without correct white balancing, so I’ve had to correct a few things in post. The image wasn’t sharp everywhere, but that also added to the charm. I’m very happy with it and I love her face in this image.